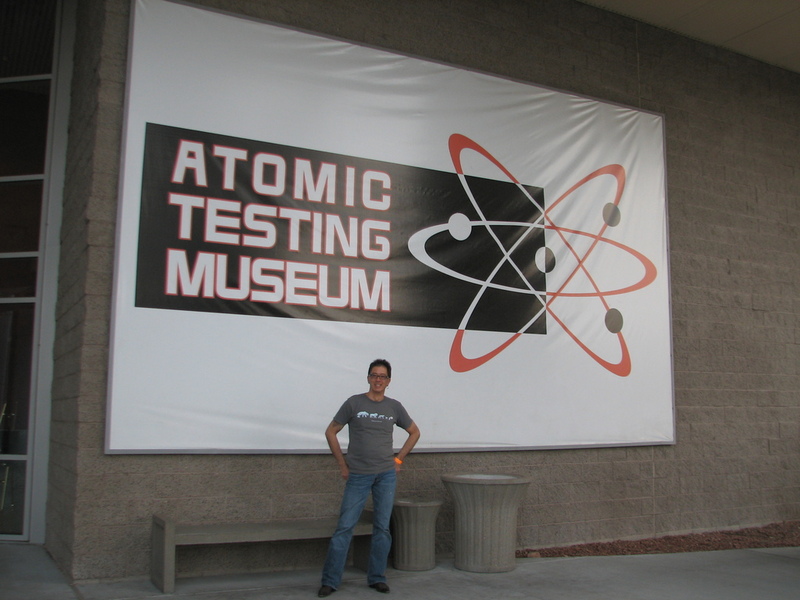 On Saturday afternoon after the stair climb, we paid a visit to the the Atomic Testing Museum in Las Vegas. 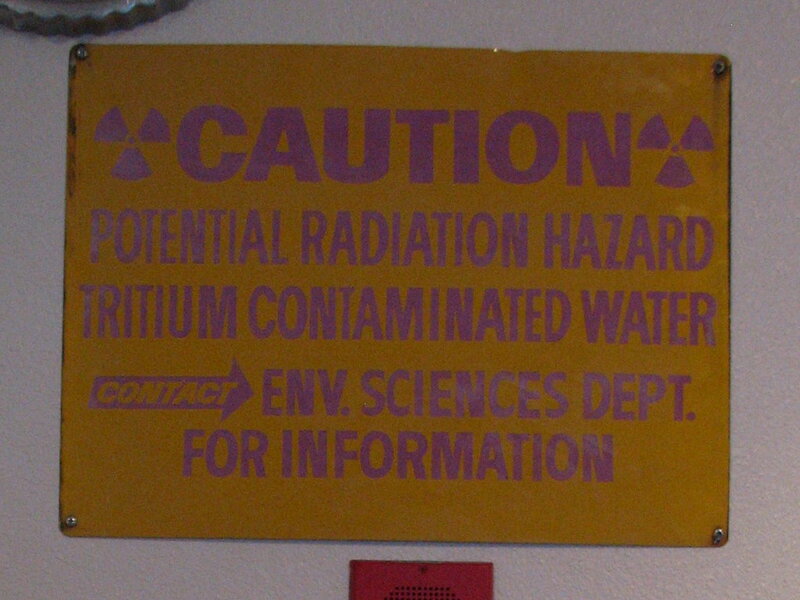 Since I like to collect Cold War memorabilia, this was right up my alley. 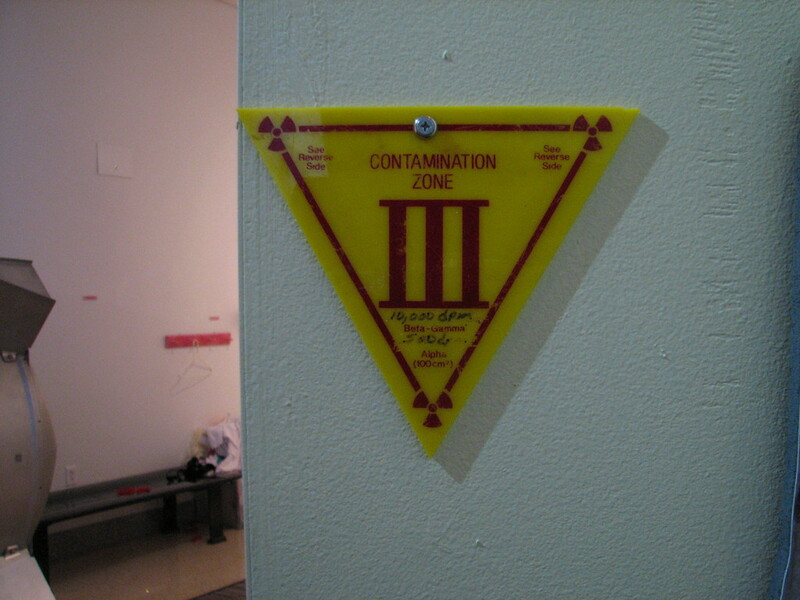 They had a special exhibit there about Las Vegas during the Cold War. Apparently, the nuclear tests going on just over the mountains were a big tourist draw. 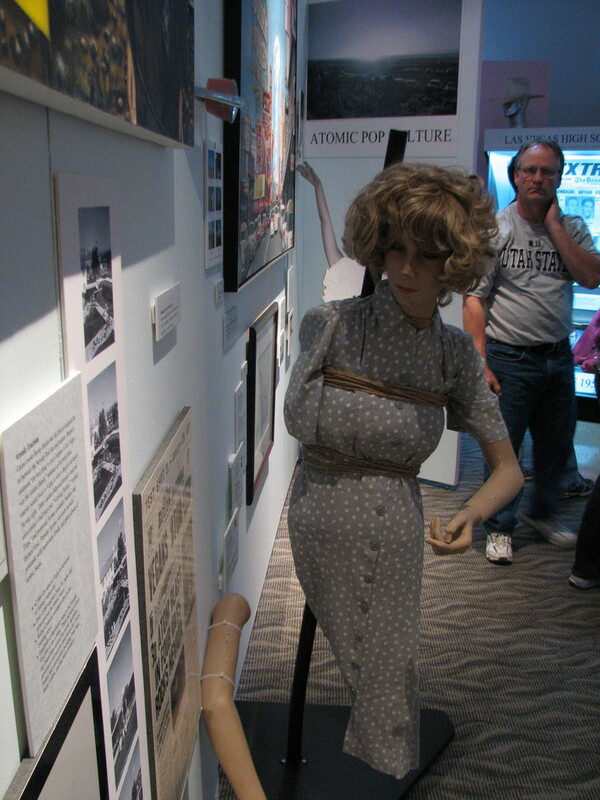 In the exhibit, they had a mannequin that had been nuked in one of the tests where they built towns out on the test site to see how ordinary houses would stand up to nuclear attack. 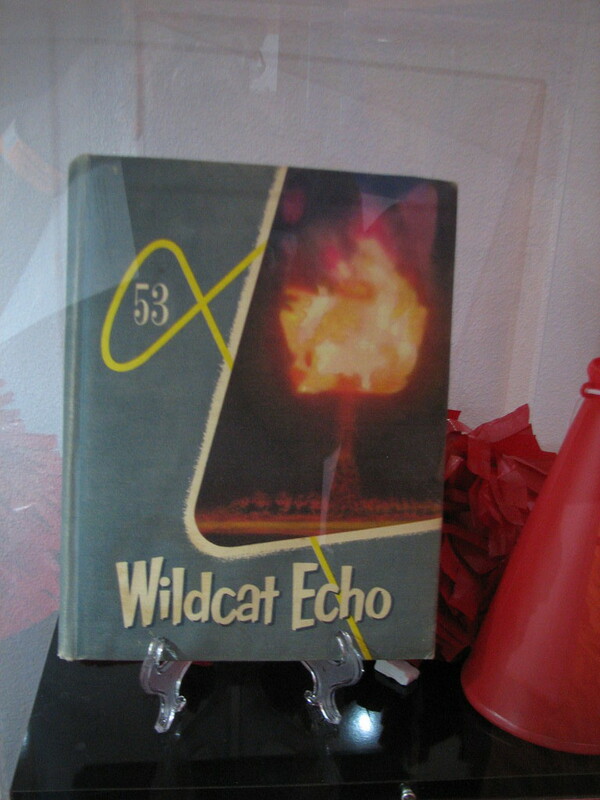 They also had other artifacts from the 1950s nuclear testing era, and overall, it was a very entertaining collection. Of course they had a gift shop. I got a DVD of a film about Lookout Mountain Air Force Station, which was the top-secret Air Force film studio that filmed all the atomic tests. We went to see that on a bike club ride last year. 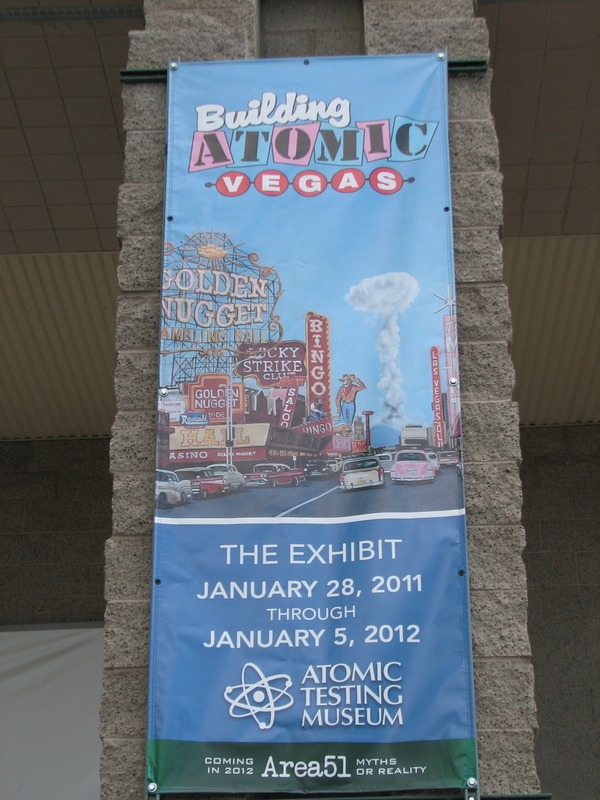 I also got a shirt with a picture of Miss Atomic Bomb 1957, and a couple of other little things. All told, this was a very interesting and entertaining museum. 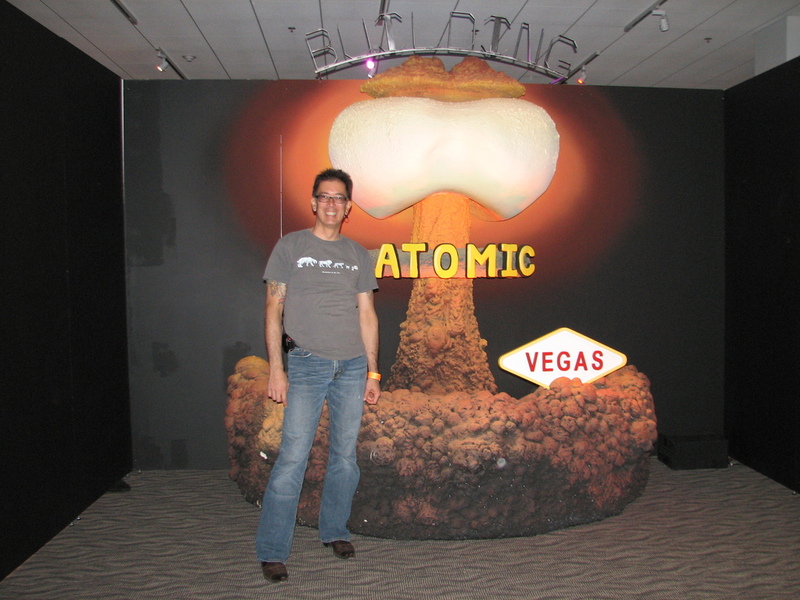 It’s affiliated with the Smithsonian, which I find tremendously amusing, since it’s very hard to believe that anything in Las Vegas could be worthy of the august Smithsonian.